I'm guessing on this one based solely on its appearance, but it looks like Agatized Seashell to me, especially from the back. 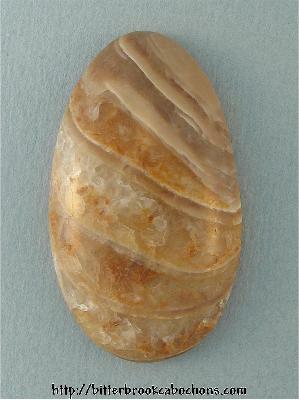 Solid to crystalline matrix; some places are not smooth where the crystals are the largest. But its not bad, and it's stable. 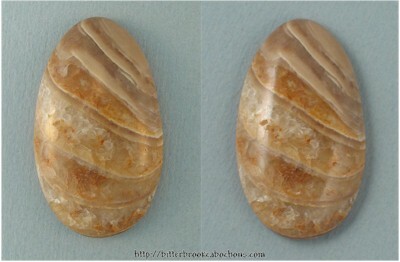 A very cool looking cabochon. 45mm x 26mm x 8mm. Weight: 72.40 carats.